Fabulous oceanfront property, adjacent to beach access, with incredible amenities and appointments throughout! "Short Sail" West (B) has 4 BR/4.5 BA, sleeps 9: King, Queen, Double, Queen + sleep chair that converts to a single. Master bedroom opens to a huge sundeck and amazing view. Flat-screen TV, comfortable chairs for reading and walk-in tile shower with dual shower heads make this master suite your private getaway. Well-equipped kitchen with new stainless appliances and almost all the items you'd need for entertaining and family meals. Living room has a fireplace, big screen LED TV, Blue Ray DVD and stereo system. Wireless Internet throughout the house. Bed and bath linens are included in the rate and the beds will be made up so you can begin to enjoy your vacation as soon as you arrive. 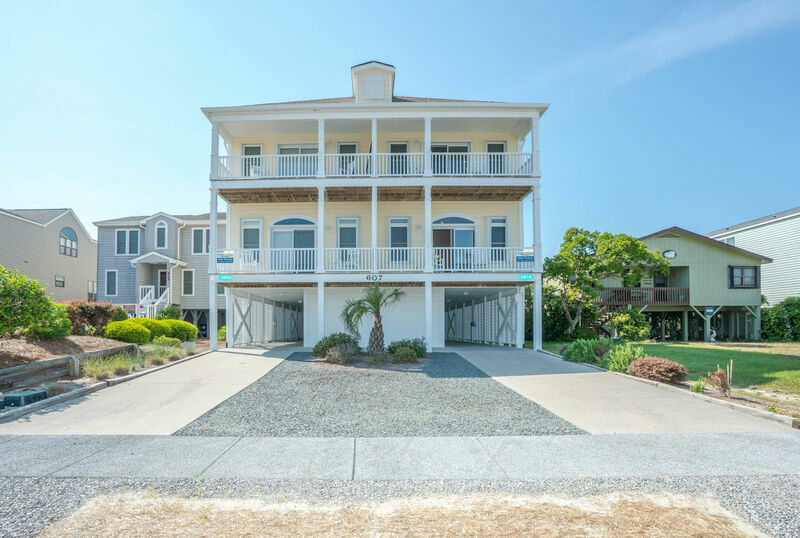 Property features screened porch, balconies and sundecks and can be rented with "Short Sail" East (A) for family reunions and other larger groups. Other amenities include: Elevator, washer and dryer, advanced package cable TV, ceiling fans throughout, hair dryers, outdoor shower and dressing area, fish sink, some beach chairs and toys, permanent charcoal grill, picnic table and curb-side recycling. Golf enthusiasts will find over 20 great golf courses within 15 minutes of this home.